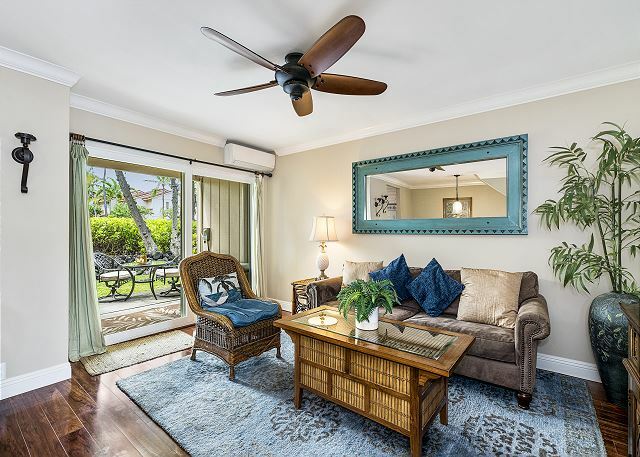 This remodeled 2 bedroom, 2 bath Island town-home with AC is located close to the ocean and the beach. 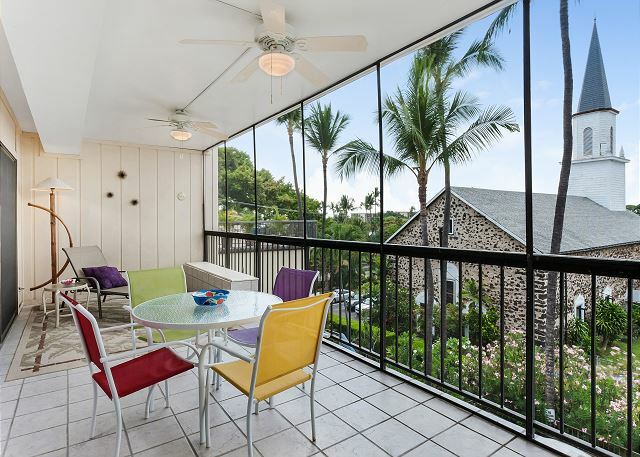 This quiet beautifully remodeled 2 bedroom condo is the perfect place for an extended stay in Hawaii, close to golf courses and the beautiful South Kohala Coast. 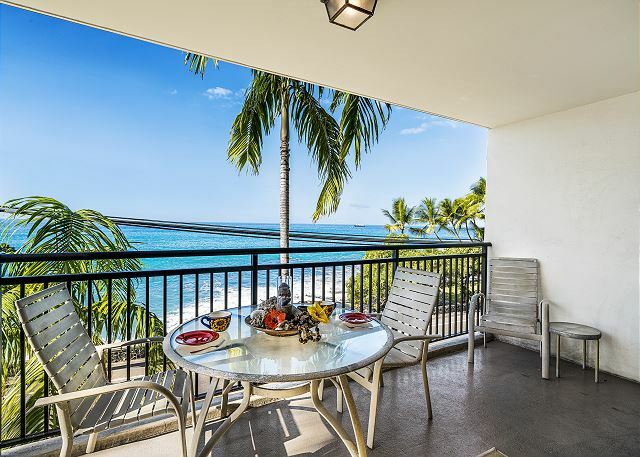 This beautiful tropical condo with stunning ocean views is on the top floor of this breathtaking ocean front condominium complex. 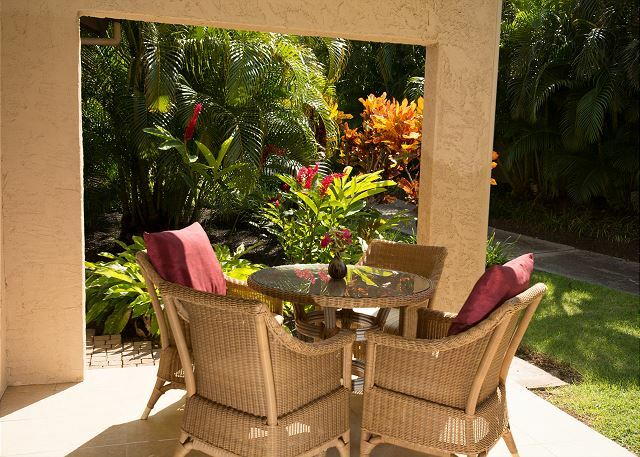 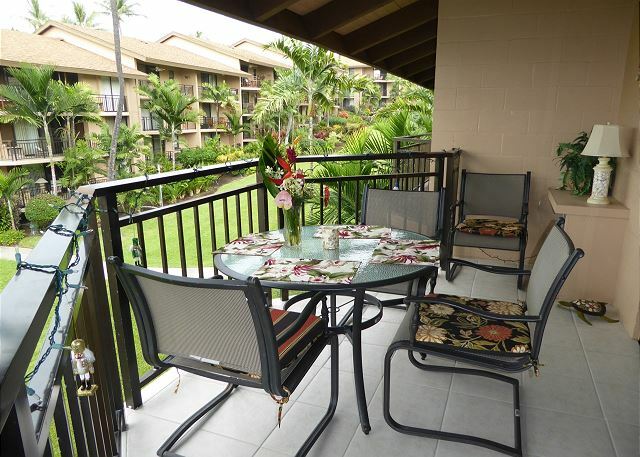 Located right on picturesque Alii Drive. 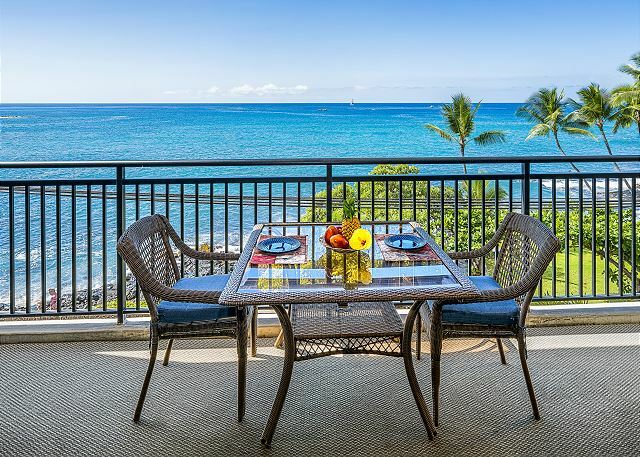 Directly across the sea wall from the warm Pacific waters. 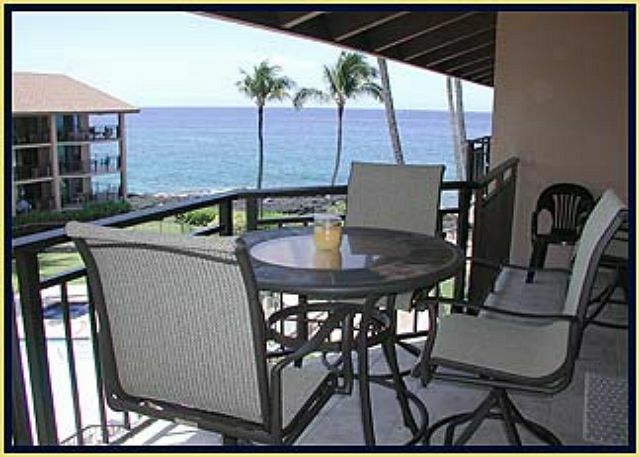 Oceanfront Kona Alii unit with AC. 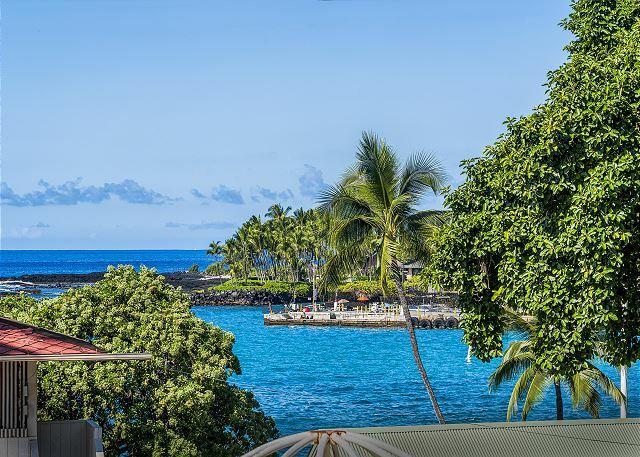 Right next to Lava Java in the middle of town.